Manchester United legend Rio Ferdinand has hailed Barcelona captain Lionel Messi for the individual masterclass he displayed during the second leg of the Champions League quarter-final fixture between the two giants, stating that it was exactly the kind of performance that the fans expected from the Argentine ace. 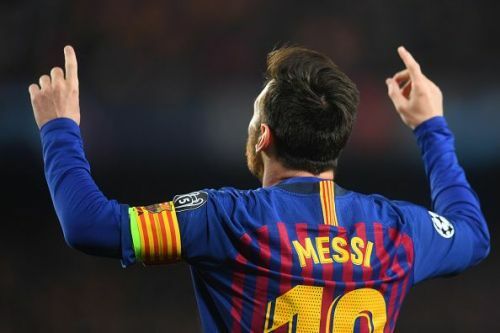 Messi appeared to be more lethal than his previous outing against Manchester United as he ripped their defence apart, netting a decisive brace to take his Champions League goals tally against English sides to 24. His brace and a goal from former Liverpool star Philippe Coutinho helped the Catalan giants register a thumping 3-0 win over the visitors at the Camp Nou. The Spanish champions progressed to the semi-finals of the Champions League and will face either Liverpool or Porto, depending on the result of their fixture later tonight. "We said before the game that if he decides to turn up and take the game by the scruff of the neck then he can do it and he’s done that. "Saying that, it was two mistakes from Manchester United. Ashley Young there will be disappointed – he didn’t clear the ball – but after that it’s all about Messi. "[For the second goal] Again Fred is in the mix there, he should just get rid of it. "But De Gea, who has been in superb form for three or four years, he’ll be so disappointed." "This is what we came to see. Any fan who's come here today you've come to see things like this from Messi. Sometimes you've just got to say he's too good." While the Liverpool-Porto clash later tonight will determine Barcelona's opponents in the Champions League semi-finals, the Catalan outfit will shift their focus to La Liga where they are set to face Real Sociedad on Saturday night.